EURO NATURAL STONE Pty Ltd is one of Australia’s leading supplier and fabricator of both natural and engineered stone. Established in 2014 to provide innovative design options to the architectural and design communities as well as homeowners. Euro Natural Stone’s selection includes over 40 varieties of engineered stones and more than 100 varieties of natural stone sourced throughout the world. With strong relationships with Quarries internationally we can supply stone slabs and tiles for your large projects. We have over 25 years of experience in construction and building industry, in-house architect, as well as design and installation services with our skilled natural Stone Installers and stone Masons in Sydney, so you can rest assured that you are in good hands. What’s more, because of the fact that we buy in huge quantities and import directly from Europe, we have the capability to deliver huge savings to our clients. With 50 years behind us, Olde English Tiles™ is dedicated to keeping tradition alive. We supply and install exceptional quality tessellated & mosaic tiles to restore a heritage facade or add character to a contemporary space. We've also got a prestigious array of encaustics, subway and period feature tiles which are hand glazed in our factory in Camperdown, NSW. Olde English Tiles ™ is extremely proud to be the exclusive supplier of Winckelmans porcelain tiles and mosaics in NSW and Victoria. For over 120 years Winckelmans has been producing fully vitrified tiles in the north of France. Their sheer durability makes them very resistant to scratching and impervious to water. What also sets Winckelmans tiles apart is their superior colour retention - vitrification means the colours will look as brilliant in 10 years time. From humble workers cottages to prestigious Gothic churches, Victorian terraces and quintessentially Australian Federation bungalows, our legacy is one of dedication to conserving the identity of Australia for future generations. We’ve designed and installed beautiful floors and walls in prestigious edifices such as The Parliament of Victoria, Queen Victoria Building, Kirribilli House and The Strand Arcade. These are but a few in the vast array of projects that are all proud vestiges of Australian history. We also work with high profile designers and architects to infuse character into institutions in the making, including Merivale venues, The Grounds of Sydney and Melbourne’s Cafe Vue. We’re recognised domestically and internationally for our expertise and our project resume is testimony of that. Olde English Tiles is experiencing the successful transition from one generation to the next. 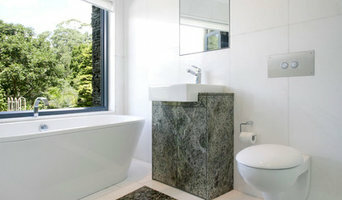 Many tile, stone and benchtop contractors in Sydney, New South Wales work in tandem with plumbers in the bathroom. They can assist in a variety of common surfacing jobs, from installing shower pans to small grouting jobs. Furthermore, they can create and install murals, mosaics, and repair or replace any surfaces with chips, cracks or stains. Here are some related professionals and vendors to complement the work of tile, stone & benchtops: Interior Designers & Decorators, Architects, Building Project Managers, Kitchen & Bathroom Designers, Design & Construction Firms. 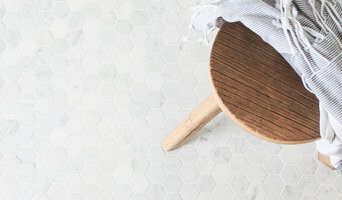 Find Sydney, New South Wales wall and floor tilers on Houzz. Look through Sydney, New South Wales photos to find tile, stone and benchtop projects you like, then contact the contractor who worked on it. Browsing photos will also help you stay on top of the latest trends; subway tiles, for example, are trending in kitchen splashbacks, while stone and concrete benchtops are replacing tile or formica surfaces.